Within a forest of solutions offered by DataMapper's Algorithm Marketplace, one new app stands high above the others. Introducing Tree Crown Delineation, the first application that analyzes tree health with drone data. 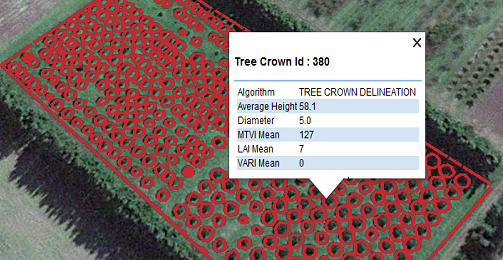 Unlike other algorithms for row-based field plants, Tree Crown Delineation is a revolutionary tool for forestry and orchard professionals to monitor tree health. What is Tree Crown Delineation? The Tree Crown Delineation app assesses a tree's health and physical characteristics from drone imagery. Results from the app contain summary statistics for three vegetation indices which compare the health of individual trees and may reveal problem areas. 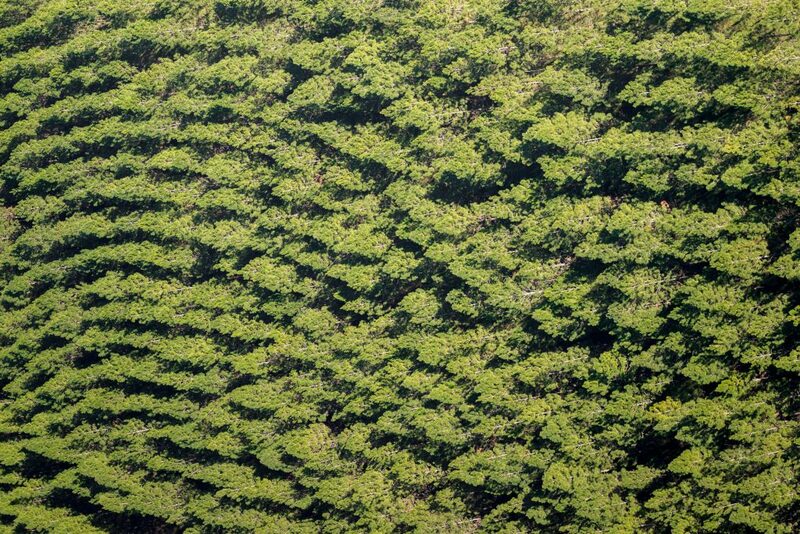 Once DataMapper automatically stitches drone imagery into a single orthomosaic map, the resulting Digital Surface Model (DSM) can be used to delineate tree crowns. Areas of the DSM with steep slopes indicate a transition from ground to canopy, and this relationship is used to define the border of a tree crown. By applying vegetative index algorithms to the processed map, individual tree crowns can be assessed. The Tree Crown Delineation app is intended for orchard and forestry professionals seeking an efficient new way to monitor and compare trees. Historically, the only way to attain these characteristics was to physically enter the tree line and make qualitative observations. The creation of the app is in response to increasing industry demand for innovative data solutions that protect the long-term investment of trees which face a plethora of threats including insects, diseases, pollution, wind and ice storms. To use the Tree Crown Delineation app, create a free account at DataMapper.com. For more information on this app or any others in the Algorithm Marketplace, visit https://www.datamapper.com/algorithms or email info@datamapper.com.